Fair Winds Press. Very Good in Very Good dust jacket. 2005. Hardcover. 0712677194 . 2005 reprint. Fair Winds Press. ISBN: 1592331580. Very good condition - pages clean and unmarked, light wrinkling to top corner of first section of pages and one earmark seen, bumping to spine ends of hardcover. Jacket has light scuffing and light edge crinkling. 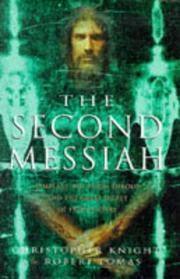 ; 8vo 8" - 9" tall; 272 pages; Templars, the Turin Shroud and the great secret of Freemasonry. What is the enigma of the Turin Shroud? Is it proof of Christs mission? In this amazing historical exposé, Knight and Lomas prove that it is not. The truth behind the shroud is an epic story of greed, powerlust and suffering. Far from being an icon of the established church, the Shroud itself provides scientific evidence for an alternative, hidden history of Western civilization and the secret societies that have controlled it.  .
Citadel. Good+. 1989. First Edition. Softcover. 0806507152 . Internal pages clean, with no markings other than price marked out on first page. Cover has moderate edgewear and a few small creases, light soiling. Light soiling to outer edge of pages. B/w illustrations. ; Library of the mystic arts; 8vo 8" - 9" tall; 344 pages; Author A. E. Waite called this book "fragments of a secret tradition under the veil of divination." Contains detailed description of each card in the Rider-Waite Tarot deck along with regular and reversed meanings. Black and white illustrations. [423-noto] . Alpha Books. New. 2004. First Edition. Softcover. 1592571654 . New book, with no markings. 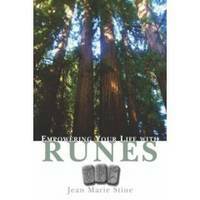 "Readers will uncover the ancient history of runes and how to harness their power through readings, magic, and meditation to solve complex problems, achieve better health, improve personal relationships, and more. " [382-osl? ] ; 8vo 8" - 9" tall . By Leonard George, Ph. D.
Facts On File. Very Good. 1995. First Edition. Softcover. 0816032130 . Cover has light edgewear, a little moreso to corners, light corner curling, light soiling outer edge of pages, a few small creases, one small tear to rear. Pages are intact and clean other than name/date marked out inside cover. "In an extensive directory of entries, George classifies them under three headings. Those under "General Topics" include Skepticism, Magical Thinking, Delusion, Epilepsy, and Vision of Paul. 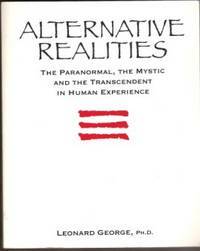 Entries under "Varieties of Unusual (Supranormal) Experience" include Astral Projection, Doppelganger, Channeling, False Memory, UFO Abduction Experience, and Ghost Light. Entries under "Deliberate Inducement of Unusual Experiences" include Flagellation, Vision Quest, Peyote, Koan, and Glossolalia. Among these latter entries are about 100 associated with Buddhist, Hindu, Islamic, Christian, Judaic, and esoteric traditions. Entries themselves are lucid and range from one sentence to several pages. Most contain see also references and a brief list of further reading. 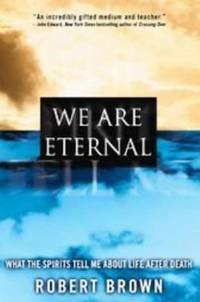 Concluding the book are tables and lists of studies correlating supranormal beliefs and anomalous phenomena, a 20-page bibliography, and an index. " (600); 8vo 8" - 9" tall . Godsfield Press. Fine. 2001. Hardcover. 080692053X . Godsfield Press 2001. Excellent condition. 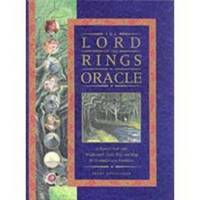 Includes hardcover book, 40 divination cards, fold-out map (approx. 21 x 19") and one ring in a very attractive ribbon tie box. A little scuffing to carry box. Book & cards are clean & unmarked. "Officially licensed by Tolkien Enterprises, Inc. Like the hobbit Frodo Baggins, change your world forever by journeying through the magical land of Middle Earth! Based on J. R. R. Tolkien's beloved trilogy The Lord of the Rings--soon to be a major motion picture--this entirely new divination system answers important questions about your future...." ; 8vo 8" - 9" tall . Quakertown, PA: Beverly Hall Foundation. Very Good+. 1941. First Edition. Softcover. B001JEKV82 . Beverly Hall Foundation, PA 1941. Stapled booklet, 31 pages. Excellent condition - interior clean and unmarked. Slight corner wear and very light soiling to covers. Set-in application for the Aeth Priesthood Fraternitas Rosae Crucis. 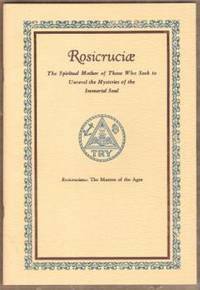 An introduction to: "The Fraternity of the Rosy Cross as the Great Mother of All who seek to delve into the mysteries of the most inner temple and there pass through the greater mysteries. " (76os) ; 8vo 8" - 9" tall; 31 pages; . Kensington Publishing Corp.. New. 2001. First Edition. Softcover. 1575668963 . New book - has a small remainder marking to one outer edge of pages, slight shelfwear to covers. Synopsis: A renowned paranormal expert presents a fascinating foray into the realm of supernatural and legendary creatures by providing true accounts of actual encounters and discussing the origins of ghosts, half-human/half-animal monsters, water creatures, vampires, werewolves, elves, and much more. [365-noto) ; 8vo 8" - 9" tall . Penguin. New. 2000. First Edition. Softcover. 0140196161 . New book, light shelfwear to corners. Will have a small remainder mark to top or bottom edge of pages. ; 12mo 7" - 7½" tall; "For Pagans and witches, Halloween, or Samhain, is the most important and sacred holiday--a day to honor the dead and to celebrate the birth of a new year. 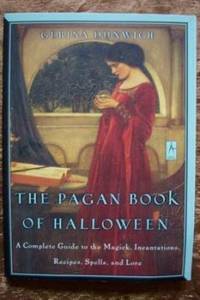 This book guides Wiccans, Pagans, and curious non-Wiccans alike in incorporating some of the original meanings and rituals into their Halloween festivities... " [186-osl] . Vancouver: Raincoast Books. New in New dust jacket. 1998. First Edition. Hardcover. 1551921308 . Hardcover and jacket in new condition, light scuffing of jacket. Colour illustrations. 80 pages. 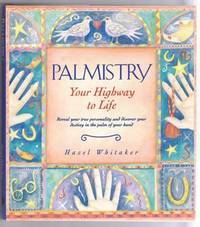 An interesting and enjoyable introduction to the ancient art of palmistry. Beautifully illustrated. (400) ; 8vo . Perigee. New. 1997. Softcover. 0399523499 . New book, small remainder mark across bottom edge - very light shelfwear to edges. "Since the beginning of time, diviners and seers have been finding signs and omens in a great variety of psychic vehicles, from pools of water to the ripples of clouds in the sky. Because these observers have been able to tap into a deeper level of awareness, they have come to sense hidden truths in powerful and mysterious ways. 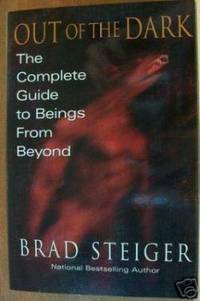 This enlightening guide shows how all of us can rediscover this ability, using everyday objects and the wonders of nature as magical tools of divination..." (*shipping will be reduced to most locations) ; 8vo - over 7¾" - 9¾" tall . Carroll & Graf. New. 2003. First Edition. Softcover. 0786712406 . New book, remainder marking across spine end bottom edge, slight shelfwear to cover edges. 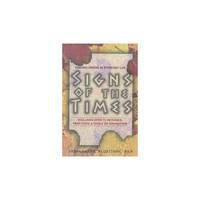 ; 8vo - over 7¾" - 9¾" tall; "This book offers an engaging survey of prophets and prophecies that will beguile believers, goad skeptics, and intrigue almost everyone else. 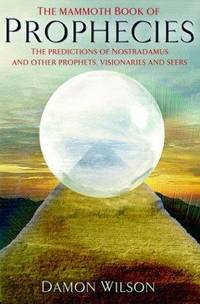 While the prolific prophecies of the celebrated sixteenth-century French physician and astrologer Nostradamus stand at the center of this volume, they are preceded by the visions, prognostications, and revelations of the Old Testament prophets Isaiah, Daniel, and Ezekiel, of Islamic prophets, and the druidic Myrddin (who may appear in Arthurian legend as Merlin the Magician) , as well as modern day psychics..." (360-noto) . THE REAL EXORCISTS Fanatics or Healers? Futura Publishing Company, Inc.. Very Good+. 1983. First Edition. Softcover. 0708825869 . Slight wear to edges and corners, a little scuffing and sticker residue on rear. 190 pages. 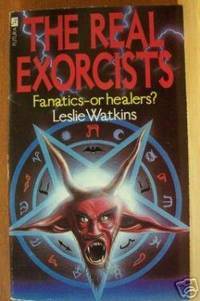 Astounding real-life cases of possession and exorcism investigated by Leslie Watkins for this controversial book. The author explores the phenomenon of demonic possession and those who seek to exorcise the perceived victims.... (*lower shipping avail to all locations) [120-osl]; 12mo - over 6¾" - 7¾" tall . Warner Books. New in New dust jacket. 2003. First Edition. Hardcover. 0446528455 . New book, has a very small remainder mark across top or bottom edge of pages. ; 8vo - over 7¾" - 9¾" tall .